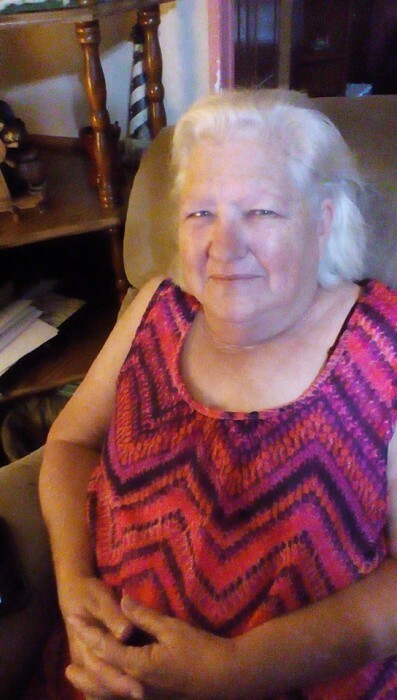 Virginia Denise Nusom, age 72, passed away Wednesday, February 6, 2019 in DeFuniak Springs, Florida. She was born January 17, 1947 in New Castle, Indiana to Dennis and Margaret Barnett Lodge. Virginia was a loving mother, grandmother, and great-grandmother. She will be dearly missed by all. She is preceded in death by one son, John W. Dorch and one daughter, Sherry Brisson. Virginia is survived by three daughters, Vellar Murray and fiancé Ray Howell, Blanche Heried and husband Jeffrey and Jerri Dorch; ten grandchildren, Shawn Murray, Rebecca Sapp, Robert Curry, Liam Queen, Michael Brisson, Troyce Queen, Kris Thompson, Jerry Dorch, Destiny Barnhill, and Timothy Barnhill II; and three great-grandchildren.